The newly developed lifting device eT-Hover-univac-line is a more compact, lightweight version of the eT-Hover-univac. Like its predecessor, it is designed especially for building areas. The eT-Hover-univac is designed as an attachment for crane and lifting equipment. It is suitable for lifting and moving large-surface loads made of glass, wood, metal, stone or plastic. The new vacuum lifting device eT-Hover-univac-line is also an attachment for crane and lifting equipment and compatible with the same materials. It is more compact and lighter than its predecessor, making it even more convenient for building areas. 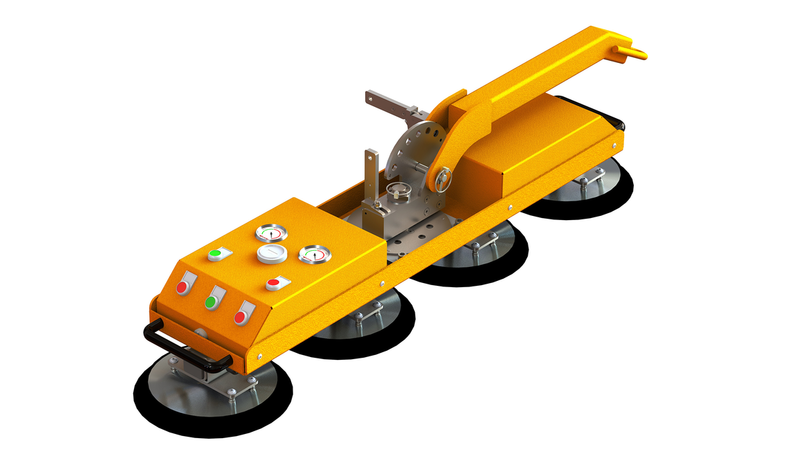 The eT-Hover-univac-line is suitable for all applications that involve lifting and moving narrow loads. The new lifting devices allows you to handle very narrow loads effortlessly.